19 Club Ultra Random Gift of the Week! 20 Club Ultra Random Gift of the Week! File:Jrwalking.gif This user is friends with Diddy Kong vs Bowser Jr. I love Pokemon as well, and you have a pretty userpage. Oh, and I am a boy, but I like Dawn as well. This user is friends with Diddy Kong vs Bowser Jr.
Changed it. My old one was made by DiddyKongfan020899. I gave him credit for that though. This user is friends with DK and Diddy Kong vs Bowser and Bowser Jr..
Got a name change, so you have to change it again. I no longer play Pokemon myself, but I like people who still do. That was in the section showing the "anime". My Luxray it Ultra Rare.--KayKay Chat to me! This user is friends with Smileymiley5001. I like Pokemon too,and your userpage is nice.Oh, and I heard about all the flooding and the bushfires in Australia, hope your areas ok.
You got Exor! He'll assist you as a personal bodyguard! You got Elden! 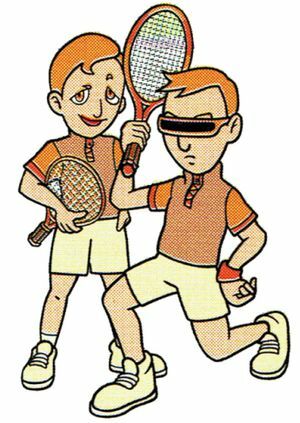 He'll help you get through the Island Open and will be your doubles partner! 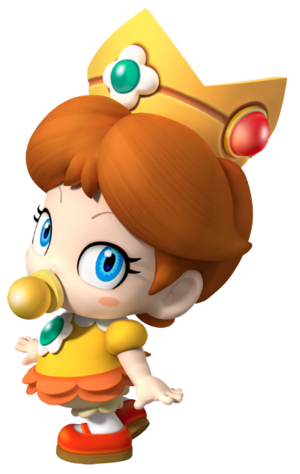 You got Baby Daisy! She'll...um... do absolutely nothing! You got an Advisor! He'll act to you as a mentor and help you with all your personal user needs! This page was last edited on June 6, 2011, at 18:20.